A business telephone system is a comprehensive multi-line telephone communication system widely used among organizations seeking better communication flow and efficiency in their operations. Business telephone system suppliers offer different types of systems for the market. Different office telephone systems' prices depend mainly on the choice of features and models. With different offers, both small and large businesses can greatly benefit from a telephone system. Business telephone systems add value, not only by improving internal communication but also by improving communication with customers. Investing in such a system for your company will ensure both internal and external development and a professional image, which will improve the performance of daily activities vital for any business. The main distinction between business telephone systems is that some are analogue, while others rely on the Internet to connect receivers, as opposed to telephone lines, which are called VoIP phone systems. If you wish to have professional assistance and reviews of business telephone systems, just fill in the form and Market Inspector can help you find the perfect solution for your business! We provide you with up to four quotes and match your request to our best suppliers, totally free of charge and non-binding! It is important to note that the price of the phones varies depending on the style, capability, and features provided by the device. This brief overview can serve as a good starting point to help you understand the different types of business telephone systems and the benefits your company will enjoy when acquiring a new system. According to your business needs and expectations, it is important to evaluate the different solutions available in the market. Base Unit/System — this is the unit that controls the infrastructure of the whole business telephone system. The cost depends on the number of phone sets, the number of features, and the number of lines that come from the telephone company. Handsets/Desk Sets — these are units that are attached to a wall or sit on a desk. Because these units come in different types and sizes, prices can range from £50-£1,000. Wiring — this is the heart of the whole system. Prices depend on the infrastructure of the building. Installation and Initial Configuration — this is the most time-consuming element when installing systems. The phones have to be installed and configured by a trained technician. When choosing the right phone system to best suit your company, it is important to remember that each system is different and that various models have certain features that can be included or added to their systems. Since no two businesses function the same way, telephone systems provide a range of different solutions and functions suitable for any office environment. 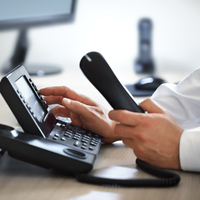 Business telephone systems can be classified as either KSU, PBX, or VoIP. For each of the three types there are hosted (cloud) and non-hosted versions, depending on the provider. Here is the list of prices, advantages and disadvantages of each telephone system. A PBX system is a common type of business phone system. It is a much more advanced system than KSU and KSU-less systems. PBX systems use a programmable switching device that allows for the automatic redirection of calls. Even without electricity, it is possible to continue businesses operations for a certain period of time, as PBX telephone systems offer, among other advanced features, an uninterruptible power supply (UPS). PBX is recommended for bigger companies, given the practicality and convenience of the automated system, which can be hosted on premise or by a telephone provider. However, the on premise-based PBX has scalability limitations, as opposed to the hosted PBX. Prices for PBXs are higher than KSU systems and range from around £130 for a system with 2 lines and up to 6 extensions, to £700+ for a system with 16 lines and 64 extensions. Voice over IP (VoIP) is the latest telephone innovation for businesses and the most advanced system because it uses an Internet connection instead of traditional telephone lines. VoIP providers offer this solution as a stand-alone option, or as a hybrid telephone system that is compatible with a PBX system — or even some key telephone systems. They have many advantages over traditional telephone systems, such as better call quality, less maintenance, greater functionality, and better flexibility for communication. One important factor businesses need to consider is to ensure that the Internet connection is able to handle the traffic from the VoIP. VoIP systems need a compatible VoIP phone set device to operate, which is specially designed for this type of system. However, it is also possible to use an analogue telephone adapter to ‘transform’ a traditional phone set into a VoIP one, or otherwise integrate the technology into a business mobile phone. The average price of a single VoIP phone set is around £60. VoIP phone systems don’t have fixed prices since they are fully customisable and prices depend on whether the phones are on-premise or hosted. On average, prices can range from £2,000-£15,000. With the hosted VoIP, the payment is per end user and can be £12-£30 monthly. To know which is best for your business, it is important to compare telephone system prices and telephone system suppliers. The key business telephone system is the most basic model of phone system available on the market. It is also known as KSU, because it uses the Key System Unit to manually select phone lines. This business telephone system offers basic features and is very easy to use — making it a perfect solution for small businesses. However, KSU has the disadvantage of having a lack of flexibility and portability. Prices typically vary between £100-£200. A variation is the KSU-less, which is totally wireless and does not require a central switching unit. KSU-less systems are the cheapest available option with prices starting below £100. They are very cost-effective as there is no infrastructure to install. The drawbacks concern the limitations of extensions. Therefore, these systems are recommended for businesses that don’t receive or make a large volume of calls. 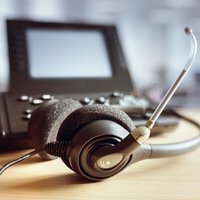 How Do Key Business Telephone Systems Work? KSU systems are the ideal telephone systems for small business since it allows a maximum of 50 users. Key telephone systems usually include phones, wire, jacks, and other hardware, and a central control unit, which is a specialised computer often called a "KSU" (Key Service Unit). The operating unit - KSU - is a separate box that controls the lines that are manually selected by the employees. The KSU box is small enough that it can be stored anywhere in the office. With key telephone systems, each employee has a dedicated phone line. Although, calls can still go simultaneously to more than one operator. Therefore, the number of phone lines the system has is equal to the number of users. A benefit of this system is that the office has only one contact number which is routed to the key system and then a user manually selects the phone line. Key system telephones have multiple buttons, for each line and indicator lights, which enable the line presence feature, which helps staff identify the status of the line (free or busy). The key system lacks automation and, therefore, the selection of lines has to be done manually. Calls are not automatically routed to the recipient and the system doesn’t have a switching device, as opposite to PBX phone systems. The regular KSU system is the most basic model of business telephone system available on the market. The Key System Unit makes users manually select phone lines. In addition, KSU is very user-friendly and offers very basic features expected of any office phone. One disadvantage of KSU is that it might not be the most optimal business phone solution if your company requires user portability, as KSU lacks flexibility if compared to other phone systems. Given KSU’s basic features, prices of this system in the UK typically vary between £100-200. Another option is to purchase a hybrid telephone system, which incorporates some typical features from PBX systems to the key system. Some advanced hybrid key systems have functionalities that often can be customised, depending on the software that is implemented. Prices of the hybrid version can reach up to £400. It is important to note that installation and maintenance costs of both types - Keys Systems and Hybrid Systems - will be added to the price of purchase and also vary according to suppliers, the number of extensions required for each business and the service provider. A variation of the key telephone system (KSU) is the KSU-less, which is totally wireless and does not require a central switching unit. KSU-less systems have the technical parts built into cordless or wired phones. That means that KSU-less phones need a power cord for their chargers but do not need a KSU to operate. KSU-less are affordable and very cost-effective systems since they do not require pre-existing infrastructure in order to be installed. KSU-less systems offer more flexibility than conventional key systems and are mobile, as the lack of a KSU enables the phones to be disconnected and moved to a new location. They are the cheapest available option of business telephone systems with prices starting below £100. The drawbacks of KSU-Less concern the lower capacity and the limitations of extensions. Therefore, KSU-less systems are the most suitable solution phone systems for small business with less than ten extensions who don’t predict to grow drastically in the near future and don’t have advanced communication needs. User-friendly. KSU systems are smaller and easier to maintain than more complex systems such as PBX and VoIP. Cost-effective. Key phone systems (KSU and KSU-less) are a cheaper alternative for business seeking improved communication but have a tight budget. Reliable. Key telephone systems are reliable tools for communication due to the minimal maintenance required of them. Customised with software upgrades. According to business phone needs, key systems features are easily changed. Key telephone systems also come with some limitations, especially when it concerns the growth restriction. As the number of lines is not scalable, key systems are inefficient for expanding organisations. Hybrid systems are able to combine different functions of all three types of business telephone systems together - KSU, PBX, and VoIP, and create one customised systemfor optimal flexibility for the business. These systems allow many additional features without the need of installing an analogue device to every new site. The first type is the combination of a digital solution with an IP one, depending on the specific needs of the business. The introduction of VoIP systems saw many companies wanting to shift from a PBX system to an Internet-based one, and initially they had to go through complicated and costly processes to upgrade. 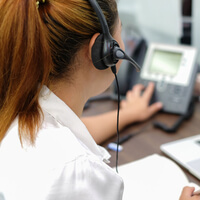 Now, a hybrid system enables companies to connect to VoIP devices by using their current lines and spare themselves the investment of re-wiring. The other type of a hybrid system is where some parts of the system are on-premise and others are off-premise. This is done to combine all the benefits of both types of hosting and take advantage of the services that providers offer to hosted versions of PBX for example. The hybrid system has many variations regarding combining different features and providers, making it the most flexible choice for businesses out there, that wish to optimise their communication by their own terms. For example, companies with a large centralised office and many remote locations, international companies, banks, store chains, and many others, are potential users of this type of system. The most important thing to consider before choosing a hybrid system is if and how it will match the business expansion goals. Often, increased capacity means higher costs, and therefore business need to evaluate if their finances can keep up with their ambitions. Since key systems were one of the first multi-line telecommunication system offering basic features, they are often perceived as outdated or insufficient for businesses. Small business telephone systems have to be adaptible to a company's needs, and with the emergence of hybrid systems, more companies have resorted to digital as the advantages of IP phones and Internet telephony are greater. As the two systems have major differences, companies can still choose a modern key system with all the sophisticated features of the PBX, but at a lower price. Naturally, the most advanced system so far is the VoIP, which provides mobility without any growth restrictions, as opposed to KSU systems. Market Inspector can help you find the best business telephone system for your companies by providing up to four non-binding quotes! If you would like to receive further information and professional reviews about key telephone systems, just fill out the form on this page.This service is totally free and non-binding!